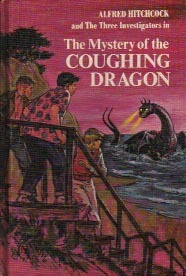 Mr. Platt wrote two Three Investigators books under the pseudonym of Nick West. Also author of an unpublished musical, Let Freedom Ring, written during World War II. The Boy Who Could Make Himself Disappear was co-produced as a film entitled "Baxter" in 1973 by Hanna-Barbera. 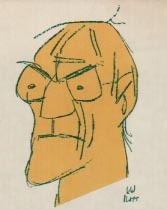 Kin Platt's long and varied career began with the drawing of theatrical caricatures in the 1930's. In a way he has dealt in caricature ever since, even in his fiction for young adults that spans the spectrum from old-fashioned adventure yarns to intospective studies of deeply troubled kids. These stories are caricatures not in a negative sense; Platt takes extreme, end-of-the-line cases as his starting point, eschewing comfortable, typical, and familiar protagonists or situations for his fiction. Platt elaborated on the motivation that makes him keep breaking boundaries: "Publishers have been afraid of the kind of books I've wanted to do....I didn't want to keep doing ordinary books. I always felt that I had to stay ahead of everybody else, in my own mind at least....I don't write to make money: I write because the story has to be told." Platt has followed his own dictum and has created a body of work that has expanded the boundaries of what constitutes young adult fiction. It was a role Platt seemed tailor-made for. Born in New York City, there was nothing comfortable or traditional about his own childhood. He is the first to say that he had a difficult youth, running away from home at age seven, and he was always pushing the bounds of the acceptable. By ten, he was drawing all the time, copying cartoons and dreaming of having his own syndicated comic strip one day. He was also involved in sports, both running and baseball. And to fill any empty hours, he read voraciously and indiscriminately, up to five books per day. "I think boys read more in those days, before books became pretentious, hardcovered and high-priced, and pigeon-holed into age categories." 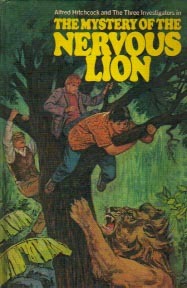 He read adventure stories: Tom Swift, the Hardy Boys, and the Rover Boys among others. Later came Jack London, Charles Lamb, Rabelais, Cervantes, and Freud. Big Max, illustrated by Robert Lopshire, Harper, 1965. The Boy Who Could Make Himself Disappear, Chilton, 1968. Chloris and the Creeps, Chilton, 1973. Chloris and the Freaks, Bradbury, 1975. 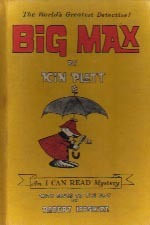 Big Max and the Mystery of the Missing Moose, Harper, 1975. The Terrible Love Life of Dudley Cornflower, Bradbury, 1976. Run for Your Life, F. Watts, 1977. Chloris and the Weirdos, Bradbury, 1978. The Doomsday Gang, Greenwillow, 1978. Dracula, Go Home, F. Watts, 1979. The Ape Inside Me, Crowell, 1980. Flames Going Out, Methuen, 1980. Frank and Stein and Me, F. Watts, 1982. (Self-illustrated) Darwin and the Great Beasts, Greenwillow, 1992. The Blue Man, Harper, 1961. Sinbad and Me, Chilton, 1966. The Mystery of the Witch Who Wouldn't, Chilton, 1969. The Ghost of Hellsfire Street, Delacorte, 1980. The Pushbutton Butterfly, Random House, 1970. The Kissing Gourami, Random House, 1970. The Princess Stakes Murder, Random House, 1973. The Giant Kill, Random House, 1974. Match Point for Murder, Random House, 1975. The Body Beautiful Murder, Random House, 1976. The Srewball King Murder, Random House, 1978. Dead as They Come, Random House, 1972. A Pride of Women, Robert Hale, 1974. Murder in Rosslare, Walker, 1986. 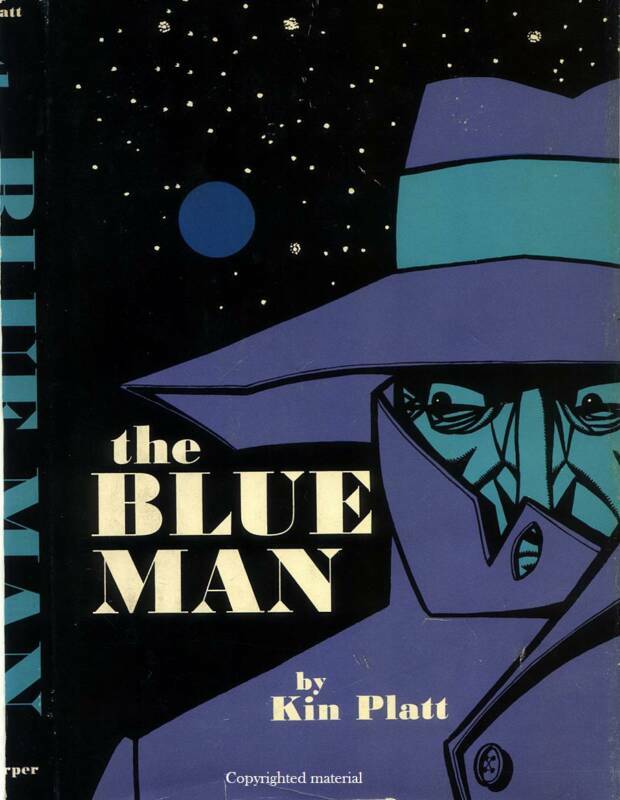 An extensive collection of Kin Platt's lifetime of work is maintained at the Boston University Library, Special Collections, under the stewardship of Dr. Howard Gotlieb. Personal: Born December 8, 1911 in New York City to Daniel (a cantor) and Etta (Hochberg) Platt. One son, Christopher. Hobbies/Interests: Golf, juggling, piano. 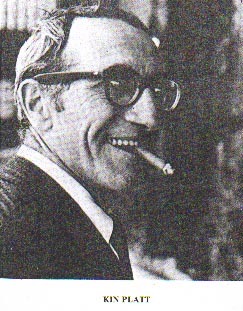 Mr. Platt was a long-time resident of Los Angeles. His agent was Marilyn E. Marlowe (died in 2003) of Curtis Brown Inc., New York, NY. Career: Cartoonist, painter and sculptor, and writer. New York Herald Tribune Syndicate, NY, cartoonist (writer and illustrator) of comic strip, "Mr and Mrs.," 1947 - 63, and "The Duke and the Duchess," 1950 - 54. Sometime theatrical caricaturist for NY newspapers, including Village Voice, and for the Los Angeles Times. Radio comedy writer for Jack Benny, Stoopnagle & Budd, Burns & Allen, Ken Murray, and the National Biscuit Comedy Hour of 1936, beginning mid-1930's. Writer of animated cartoons for Disney and Hanna-Barbera, beginning late 1930's, and creator of Supermouse for comic books. Military Service: U.S. Army Air Force, Air Transport Command, 1943 - 46; served in China-Burma-India theater; received Bronze Star. Member: Writers Guild of America, Mystery Writers of America, National Cartoonist Society. Awards, Honors: Mystery Writers of America "Edgar" award for juvenile mystery, 1967, for Sinbad and Me; Edgar Allan Poe Award runner-up, 1970, for The Mystery of the Witch Who Wouldn't. Distinguished Book of the Year award, Southern California Council on Literature for Children and Young People, 1974, for Chloris and the Creeps; Notable Book citation, American Library Association, 1975, for Headman; award for outstanding contribution to children's literature, Central Missouri State University, 1986. STS: The above biographical information continues for many pages in "Something About the Author" Volume 86, 1996. It is immensely interesting and I highly recommend it if you can find it. Platt's career is unusually broad, he seems to have dabbled in a bit of everything - successfully and sometimes controversially. Unfortunately, for reasons not entirely clear, Platt has chosen not to document his work on The Three Investigators series in any of his known biographical outlines. However, Steven Bauer and Elizabeth Arthur have had contact with Platt's agent, Marilyn E. Marlowe (now deceased), who confirmed that Platt did indeed write "Coughing Dragon" and "Nervous Lion" under the pseudonym of Nick West. *The information above comes largely from Contemporary Authors v. 17 - 20, 1976 and Something About the Author v. 86, 1996. **Additional information was provided by Kin Platt's son, Christopher. BACK to The Three Investigators Authors/Artists page. Good News! The family of Kin Platt is pleased to announce that a NEW Kin Platt novel is coming soon from Farrar, Straus & Giroux. A Puzzle for Thoreau is a historical mystery for young adults set in 1840s New England. It was written by Kin Platt and edited by his son Christopher Platt, who is also providing the foreword to Platt's only work of historical fiction. The book is due out in late Summer 2008.